Foam concludes 2015 with an overview of the exceptional and intense work of an American photographer who died young, Francesca Woodman (1958-1981). Woodman used photography as an extremely personal means of expression, as if wearing her skin inside out, making herself the only subject of her work. After her untimely death her photographs were shown in a number of major international exhibitions and they have inspired artists all over the world. Before committing suicide at the age of twenty-two, Woodman explored themes such as gender, representation, sexuality and corporality. Her oeuvre consists of a large number of self-portraits. A striking aspect of her work is that she is either explicitly naked, or in contrast, attempts to hide her body: squeezed into a cupboard, behind the wallpaper, wrapped in plastic or material, or in a shroud of movement. 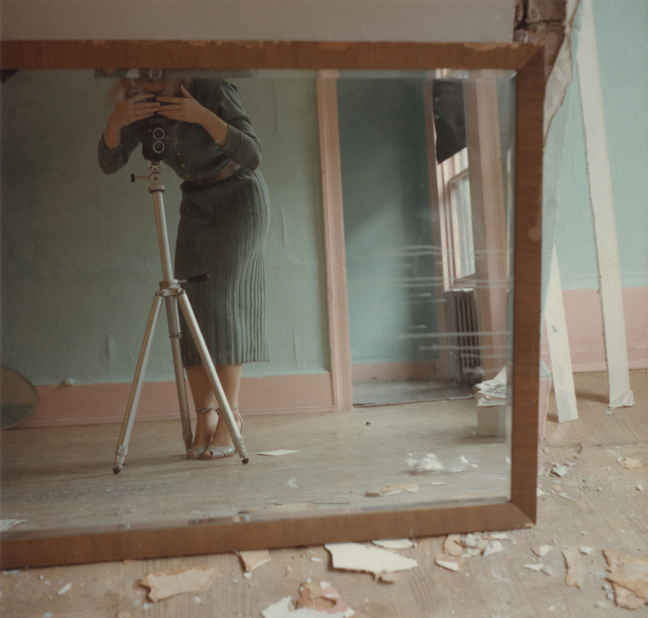 She photographs herself in interiors punctuated by evidence of decay. Even when other people feature in Woodman’s photographs, they function purely as a stand-in for the artist. Woodman’s photographs showcase a range of symbolist and surrealist influences, and in many cases they evoke oppressive feelings. 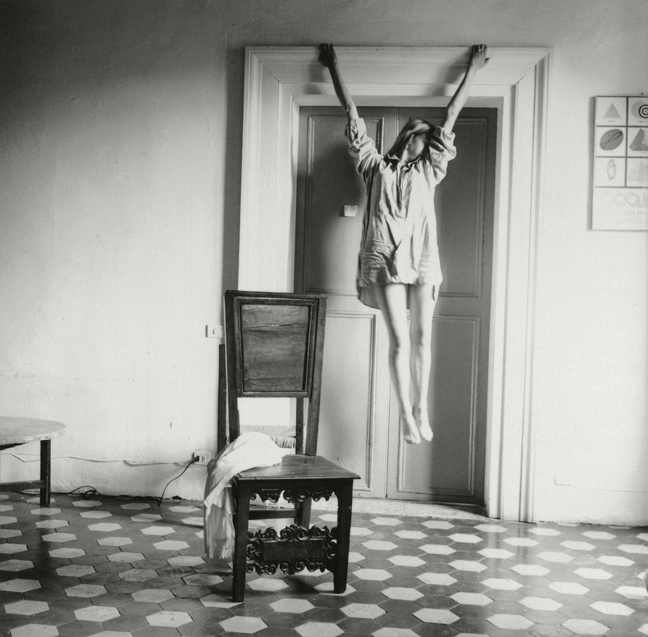 Francesca Woodman grew up in a family of artists and began taking photographs in her teens. From 1975 to 1978 she studied at the Rhode Island School of Design. Her oeuvre is usually divided into periods: the early work, her work as a student in Providence, work made in Italy (1977-1978) or at the MacDowell Colony and, finally, the work she produced from 1979 in New York until her death in 1981. She left several hundred gelatine silver prints, although she also experimented with other techniques. 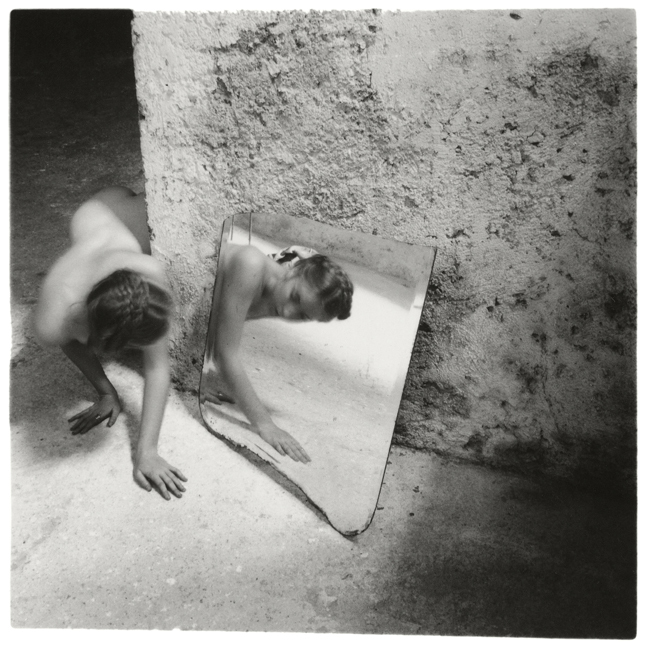 The first major travelling exhibition of Francesca Woodman’s work took place in 1986, some years after her death. Her first European exhibitions were held in the early 1990s. The Kunsthal in Rotterdam was the first to present her work in the Netherlands, in 1998. The exhibition Francesca Woodman. On Being an Angel has been organized by the Moderna Museet in Stockholm in collaboration with the Estate of Francesca Woodman and consists of 102 photographs, mainly gelatine silver prints but including several large-format diazotype prints and six short videos.